In an era where most of our data resides on our desktops and laptops, a backup solution becomes very important. But what if one mistakenly deletes important data without a creating a backup? Or a deadly combination of “shift + delete” wipes of your birthday photos? Well there’s no need to panic now. 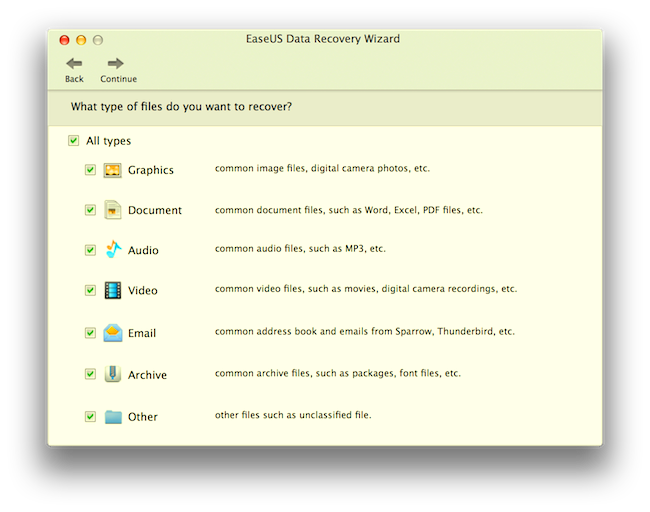 With EaseUS data recovery wizard, recovering lost data is very simple. I have been using EaseUS recovery wizard since last couple of days for my Mac and here’s the short review. The very first impression of EaseUS data recovery wizard was very impressive and it truly does what it says that is it gets you your lost data very comfortably. But there’s something you need to keep in mind. On using the data recovery wizard for the first time I found it more effective when I had put it to work immediately after deleting some data. And the reason for this is because the more you wait to try the lesser the chances of recovering the file as the part of hard drive that stored the information will be overwritten with some new data. 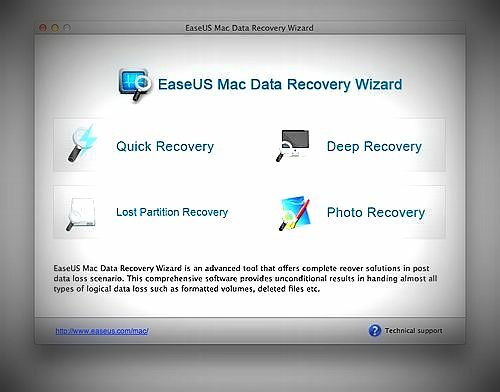 Being much curious, I intentionally deleted some of the files from my Mac and put EaseUS data recovery wizard on work. On trying the EaseUS app immediately, I was able to get all my files I deleted and that too without any corruption upon recovery. And here’s something that makes EaseUS data recovery wizard best for recovering your last data. With regular scan I was able to easily able to recover recently deleted files. Moreover, the EaseUS app even worked on “Secure empty trash” feature. Very impressive. The EaseUS app for Mac comes with Deep scan feature which gave the last try to recover my precious files. It took about 30 odd minutes on my Mac. However, there’s no guarantee to recover precious files once deleted. Apart from regular scan and deep scan features, the EaseUS data recovery wizard lets you choose which type of file you want to recover, be it an image or a zip file. This feature certainly reduced the amount of time taken to scan the drive as I was easily able to select the type of file I wanted to recover and the App looked for the same in the drive. As soon as the scan completed, EaseUS app showed up a tree kinda view of the folders and look for the files I wanted to recover. And then the last thing I had to do to get my file was click on the “Recovery” button. I was easily able to recover the file until it showed up an error where I had to select a location. I found the app very easy and smooth to use. It doesn’t ask you much to do for recovering your file. The EaseUS Mac Data Recovery tool will cost you around $89.95 which seems pretty costly. But recovering your lost birthday memories or important bank data is more worthy. Just to recover photos from Mac machine you can also try photo recovery software designed for Mac.